24, VICTORIA ROAD, ETON WICK, SL4 6LY. 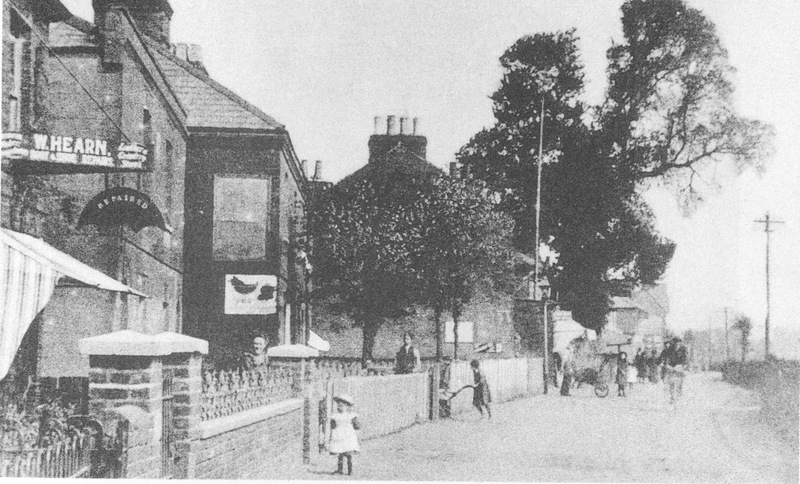 WILLIAM HEARN : Apprenticeship in saddlery; employment in harness making; more interested in the motor car, driving in 1903; returned to Eton Wick, married in 1906; bought Thames View (by 1991 was Thames View Aquarium), opened a shop and started in business; had some arrangement with 'General' Hill who had a Wheelwright business at the premises now known as 24, Victoria Road; outline plan of area used by Hill before the first World War and taken over by Hearn during the War for engineering. 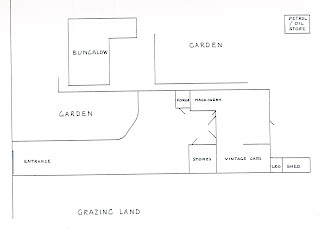 This plan shows what I remember in 1920. 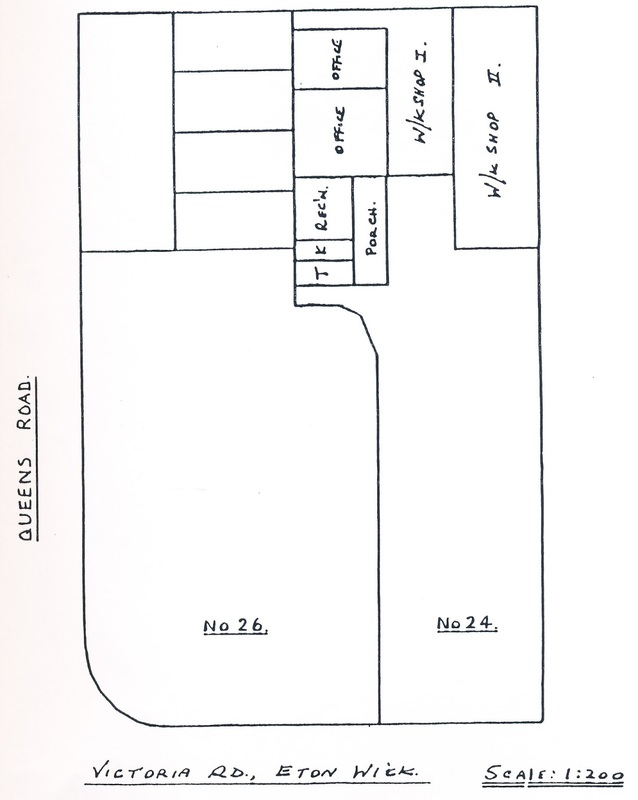 My father purchased the land from No 18 to 36 (present numbers), down to the brook; divided into three plots and retained the centre plot, 24 to 28/30. Early in the 1920's he phased out engineering and engaged employees only on a casual basis. Later he discontinued repair and exchange and concentrated on car hire, driving and maintaining his own cars until the end of his life. 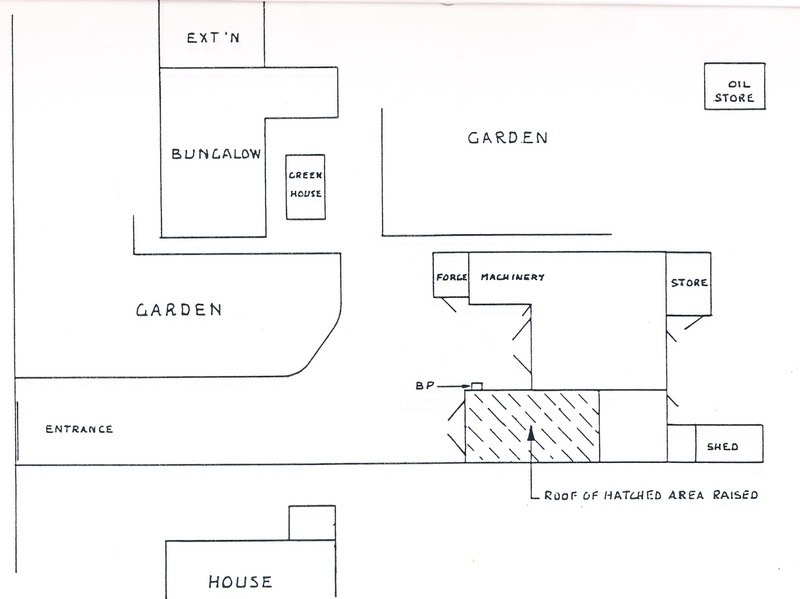 In 1924 Thames View was sold and a bungalow erected as shown for our family. A store was made for reserve petrol supply (2 gallon tins) etc. below ground level. 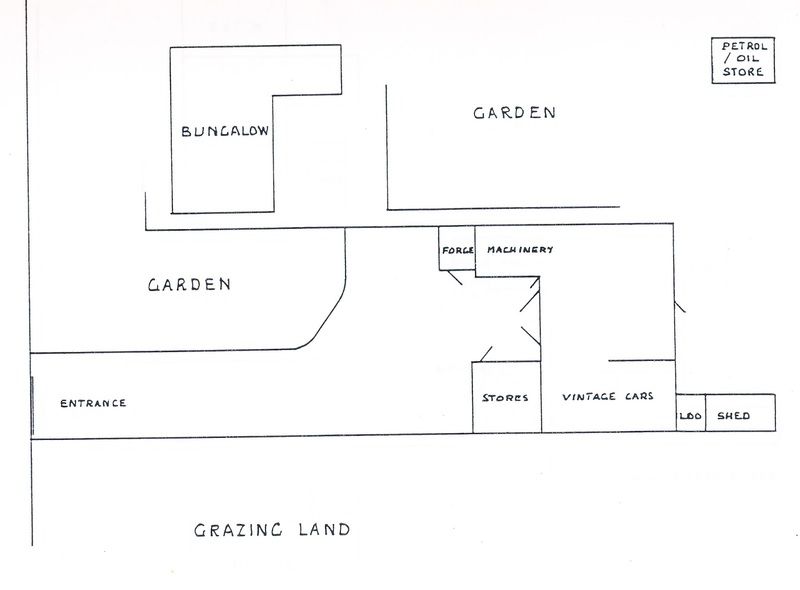 By mid 1930's the bungalow was extended and a new house was built on the adjoining property. 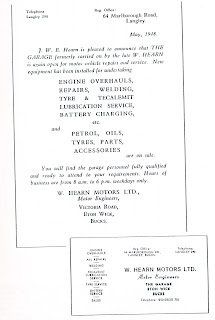 A small tank and hand pump for petrol (not for re-sale) was added other changes made as shown. The Second World War came and the premises not again in use until 1946. 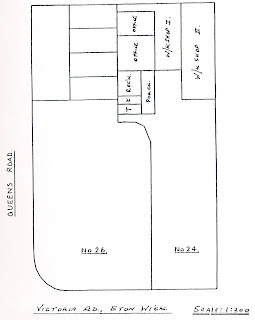 Electricity (3 phase) was laid on and the property was connected to the main drainage. Tanks and equipment was installed for petrol for resale. Full motor engineering service was started. The was questioned by the Borough Engineer (Mr Smith) and his Dept. but finally permitted as there had been light engineering industry at the premises well before 1937 so permission not required. Victoria Road was a cul-de-sac and stopped off at Shepherds Hut Field (now Princes Close). 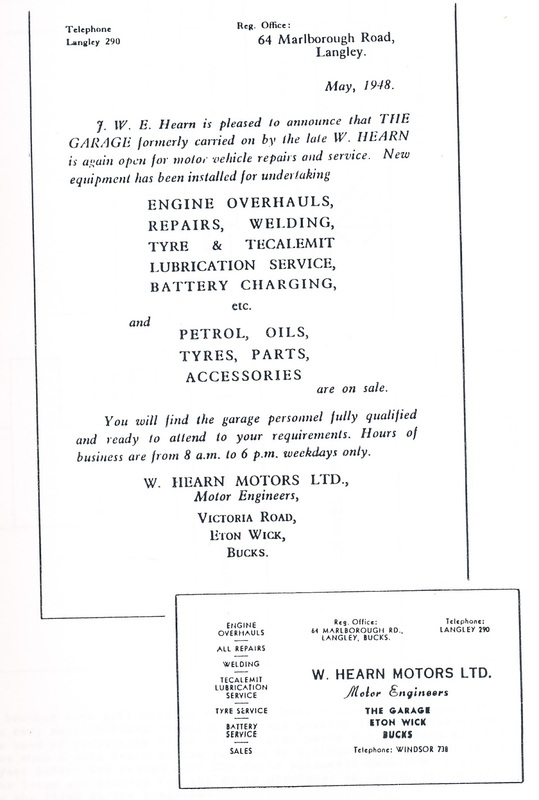 In 1948 this leaflet was distributed to every letter box in the area to make our presence known business card at that time. My brother soon left working for Hearn Motors to run a business of his own. 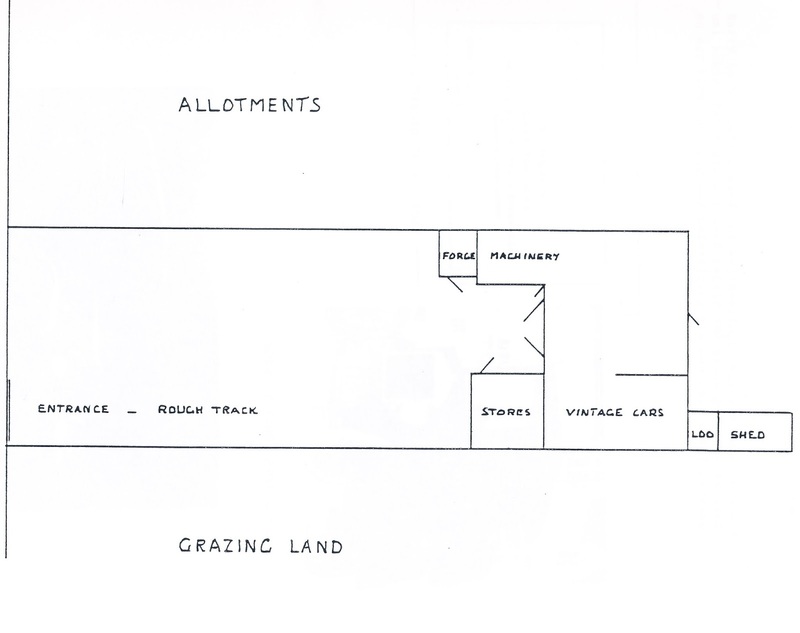 A small holding keeping pigs and poultry in the field along the back of properties 24 to 36. 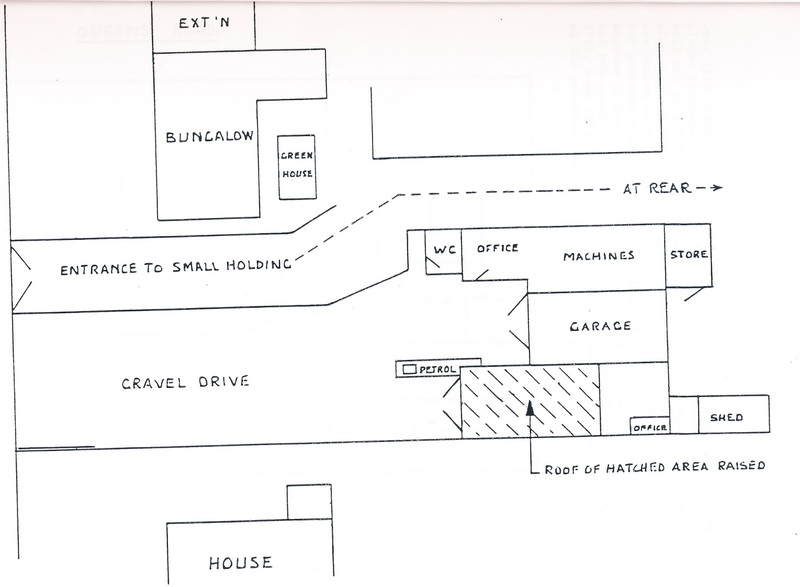 The plan shows the promises as they were when I sold Hearn Motors in 1952 to B.A.Nuts Ltd. who had rented part of the property for about a year before for their automatic machines. 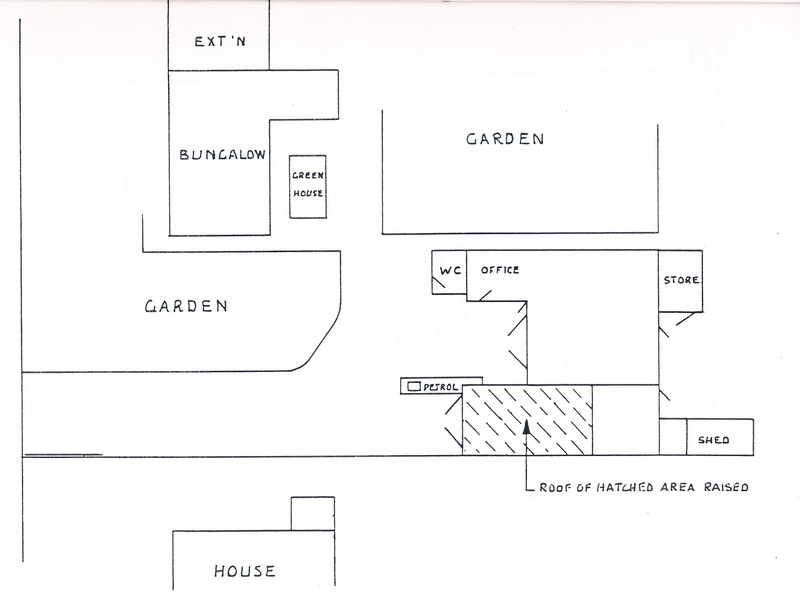 A 21 year lease was granted for the whole premises; an income for my sister who lived in the bungalow. My sister (3 years old in the photograph at the beginning of this article, outside the shop) sold out to J.T.Ireland for housing development that became Queens Road. 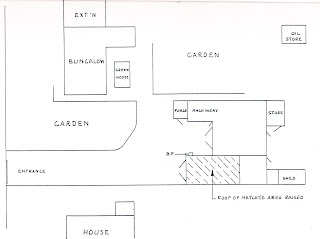 The bungalow extension was immediately removed to make way for the entrance to Queens Road from Victoria Road;. 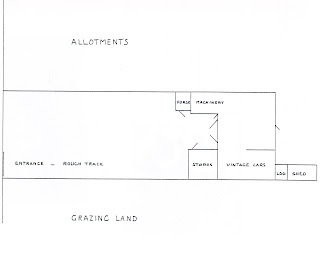 She moved out when her new chalet in Slough was finished in 1960. Ireland paid higher rate for premises with light industrial use (leased to B.A.Nuts Ltd.). 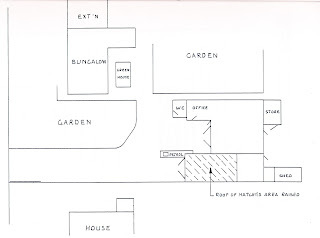 He appears to have been disregarded it and made application for more houses, but this was not granted and the lease not renewed. 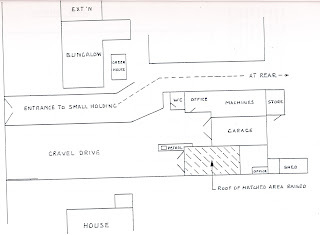 I visited the property with Jim Ireland on 11th June 1974. It was empty and not in a good state of repair he offered the premises back for £20,000. This history was prepared for ASTEEL ENGINEERING SERVICES Ltd of 24, Victoria Road, Eton Wick By J.W.E.Hearn in 1991.